The Willapa National Wildlife Refuge is a dreamy place for amateur and experienced photographers alike. The diverse ecosystems within the refuge are home to Roosevelt elk, salamanders, beavers, salmon, bears, and… thousands of birds. In fact, the refuge is recognized by Audubon as an important bird area! It’s an excellent location for those with a penchant for capturing wildlife on camera to practice their art and delight in the wonders of nature. If you’ve ever wondered how photographers capture wildlife on camera, then read on! We asked a few local photographers to share their tips for wildlife and bird photography. Madeline lives on the peninsula part time and writes about birds for the Chinook Observer. She is the co-author (with Susan Stauffer) of a photo booklet called “Common Birds of the Long Beach Peninsula”. She is a member of Shoalwater Birders as well as a member and volunteer for Friends of the Willapa National Wildlife Refuge. Her photography tips are simple and straightforward. LIGHT: Good light is very important. DO NOT DISTURB NESTS ETC. 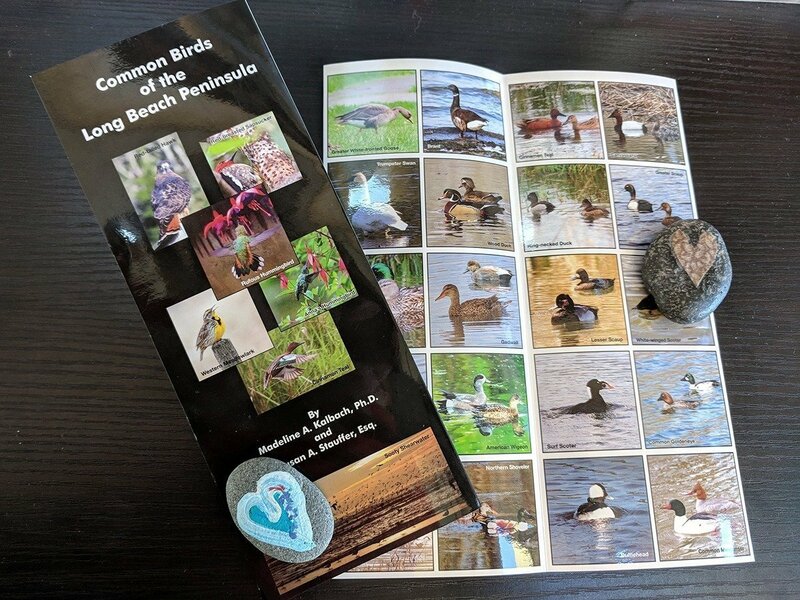 You can purchase “Common Birds of the Long Beach Peninsula” at the Visitors Bureau for $11.95. We only have a few left! This 16 year old photographer is incredible. He captures beautiful photos of eagles, owls, swallows, shorebirds, and more. You can check out his work on Instagram or his blog. “I would first like to say that it is best to get out early in the morning and/or late in the evening. During this time is when wildlife is most active. Then, you’ll be sure to see more of what you like. Next, make sure that the closer you are to your subject, the closer you are to eye level with the animal. Getting eye level with your subject can be very important. 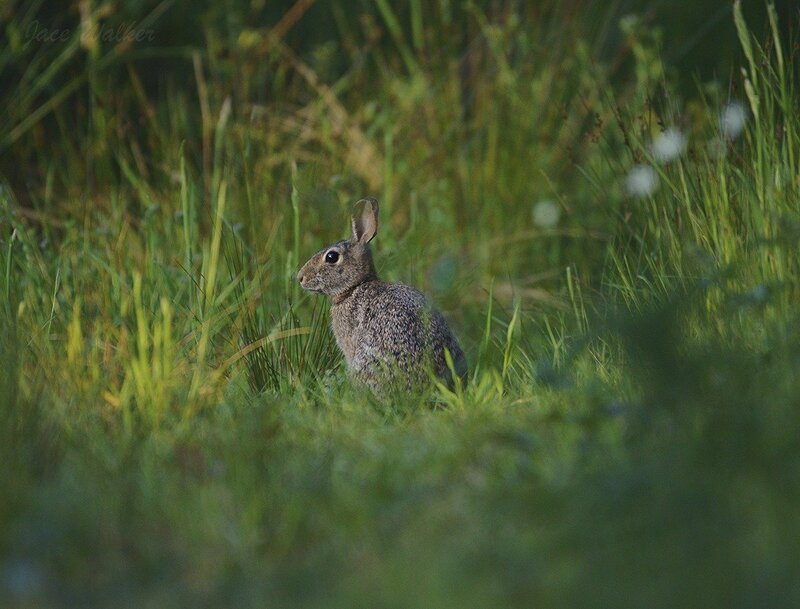 For example – a rabbit grazing in the field can make for a good picture. Getting down low (eye level with the rabbit) will make for a nice blurred green background, while still having some visible grass in the photograph. Tip number three is to remember this: it’s not about the gear you’re using. The better you are as a wildlife photographer, the easier it’ll seem. It’s not about gaining better gear – it’s about gaining better knowledge about your gear and the wildlife around you. Getting to know your surrounding wildlife (habitat, diet, etc.) is essential. This way you’ll be able to find specifically what you’re looking for. When you do find that animal, keep these tips in mind. Now what REALLY makes a nice snapshot? Background. Always watch your background. Make sure there aren’t too many distractions such as branches, buildings, cars, etc. While you’re looking through your viewfinder on your camera is the best time to make the background the best you can. Get out early in the morning or late in the evening. Get close to your subject. David Ryan is a resident of the Long Beach Peninsula. He is a forester by vocation and an amateur photographer and birder in his spare time. “This quote by photojournalist and war photographer, Robert Capa (1913-1954), has been interpreted by photographers in a few ways. Some have felt it was a technical issue meant to indicate that the subject of the photo needs to be “zoomed in” or viewed from a tighter perspective, either by use of telephoto lenses or physical proximity. Others have felt it is an emotional or psychological issue meant to indicate that the photographer needs to develop an empathetic, compassionate, and intellectual connection to the subject. I fall into the latter category, believing that a deeper understanding of the subject leads to better photographs. In bird photography, and wildlife photography in general, telephoto lenses are all but a necessity for better images, but technical tools are not enough. Learning bird behaviors and habitats are even more important to capturing good, or even great images. Understanding those aspects of birds allows one to identify good habitat, conditions, and behaviors, which then allow the photographer to put themselves in better position to capture good shots before the birds arrive, and to behave in a manner that does not drive off birds when they are there. Fortunately, bird knowledge and photography knowledge are self-feeding loops, which build upon one another. Of course, a healthy dose of good luck never hurts either. 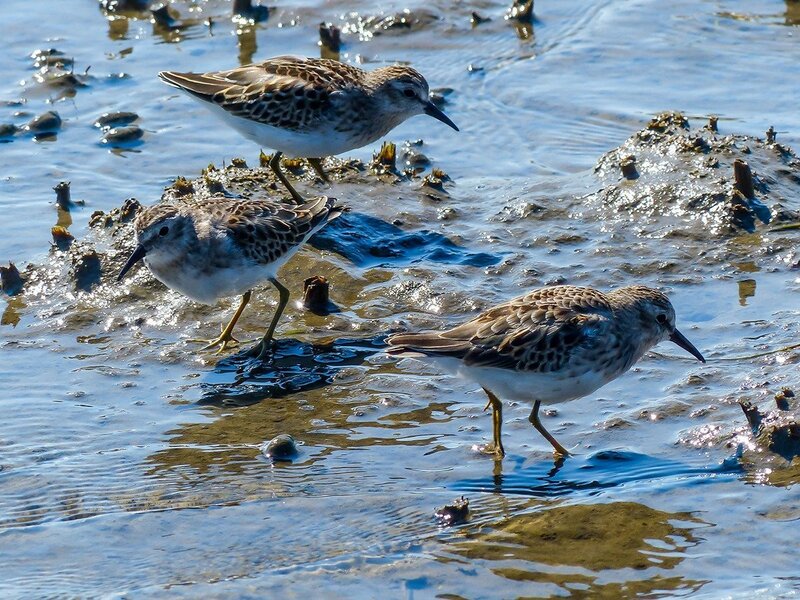 There were hundreds of shorebirds in the area when we first pulled up the boat to these sandpipers in Willapa Bay. We knew we were in ideal habitat, even though they moved away when we first arrived. A deeper understanding of the subject leads to better photographs. Technical tools are not enough. Quiet down and stay put. The Willapa National Wildlife Refuge is a site of international importance for shorebirds, making is the perfect location for bird photography. This independent, non-profit organization helps support the refuge. They also organize Wings Over Willapa, a festival that celebrates the refuge with guided hikes, workshops, lectures, and more! 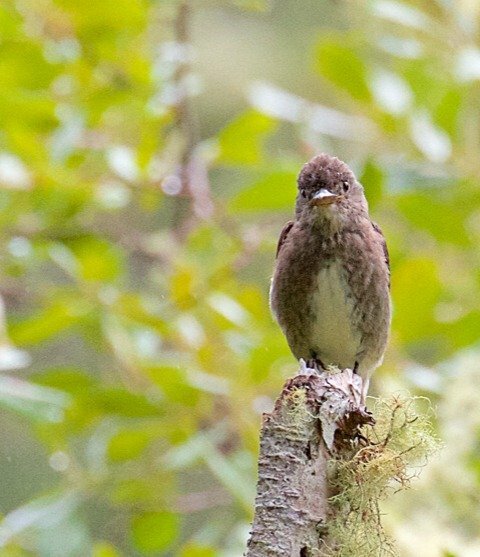 The Willapa Hills Audubon Society is a great resource if you’re trying to learn more about birds in the area. They publish an updated list of birds in Pacific County each year. This local birding club provides great resources for birders interested in visiting the Long Beach Peninsula. They have a seasonal bird list, a peninsula bird list, and a list of birding sites. Learn more about the designated important bird areas in Pacific County on the Audubon website. Note: You will need a Discover Pass to visit Cape Disappointment and Leadbetter Point since these areas are state parks.